My new novel, renamed ‘Rudi – In the Shadow of Knulp’ – is being published in Germany and launched in Belfast as part of ‘Feile an Phobail 25’ (a series of events in the run-up to the silver jubilee of the festival next August). 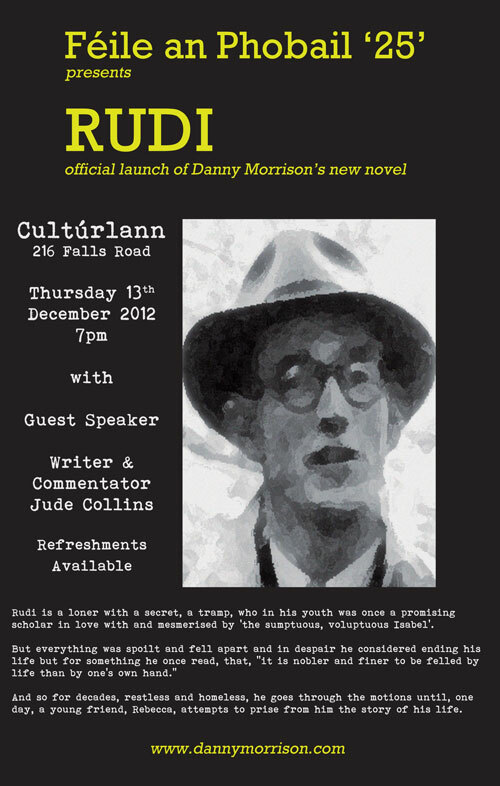 My friend Jude Collins will launch the book in the theatre at Culturlann on Thursday, 13th December, at 7pm. All welcome!